It’s game day here at spalanz.com and, if you follow me on instagram, you may have seen that I recently bought myself the Planechase Anthology box that came out at the end of last year. (If you don’t follow me there, why not?!) While I don’t always like to have a glut of similar stuff on my blog in one go, I wanted to feature this on a game day blog despite Amonkhet being released officially at the end of this week, so prepare for cardboard goodness for a while! 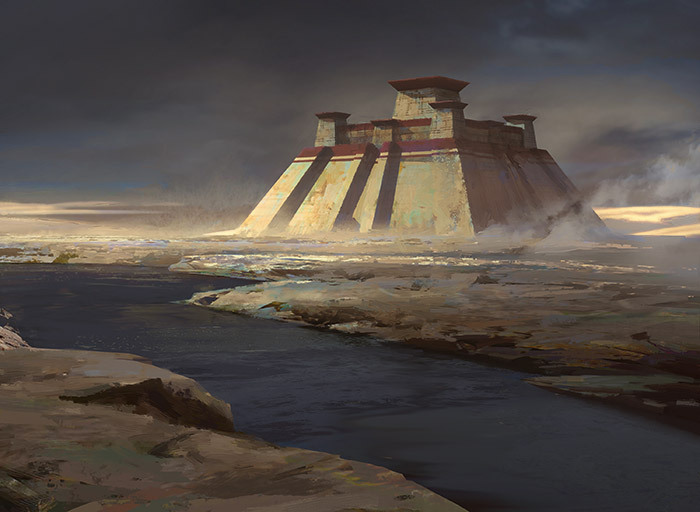 Planechase is a variant format for Magic the Gathering that is similar to regular games in almost all respects, except for the addition of a Planar Deck of ten cards that each player uses alongside his or her regular constructed deck. These cards are usually Plane cards, featuring a location and artwork from one of the many iconic locations found across the Multiverse, though there are also Phenomenon cards that can crop up. 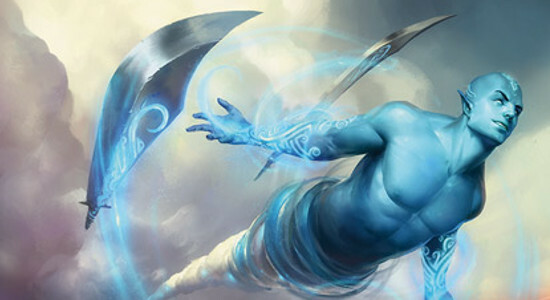 Planar decks consist of ten cards, no two of which can have the same name. Planechase was originally published in 2009, with four products that featured 60-card casual constructed decks, and four ten-card Planar decks. The constructed decks were almost entirely reprints from earlier Magic sets, but also included four preview cards for the upcoming Zendikar block. 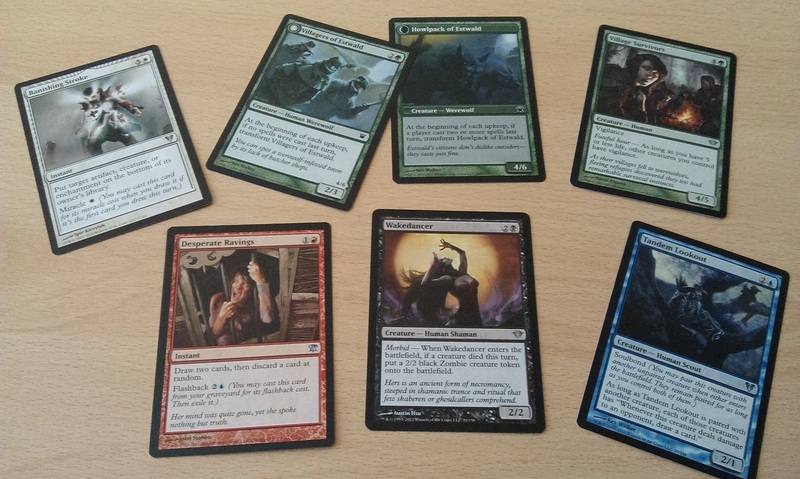 These decks were five-colour, red/white, red/green, and mono-black. 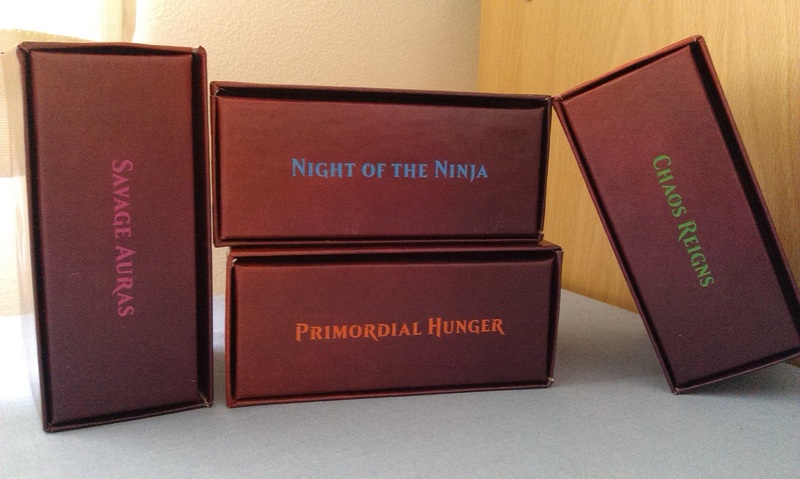 In 2012, a new set of four products was released, with new Planar cards and the new Phenomenon cards, alongside four 60-card casual constructed decks. 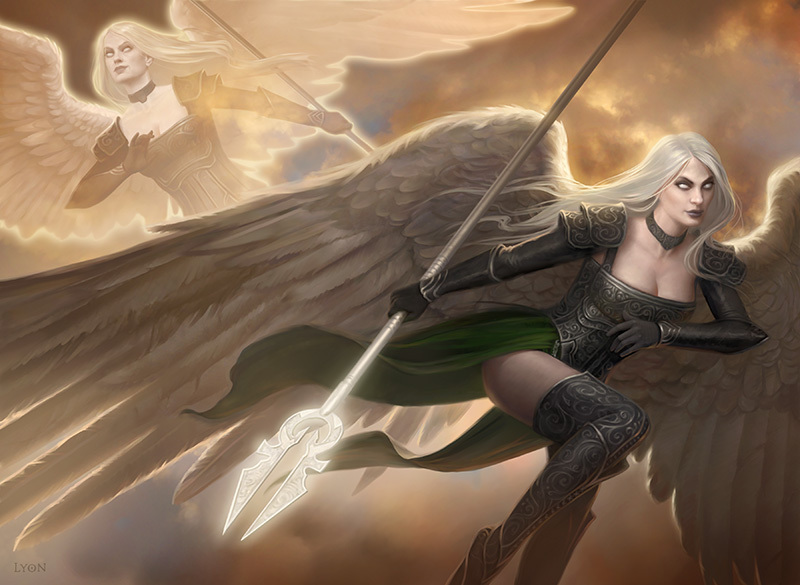 Unlike the 2009 set, Planechase 2012 introduced a slew of 21 new cards that were legal in eternal formats, several of which became popular enough to receive multiple reprints over the last few years. 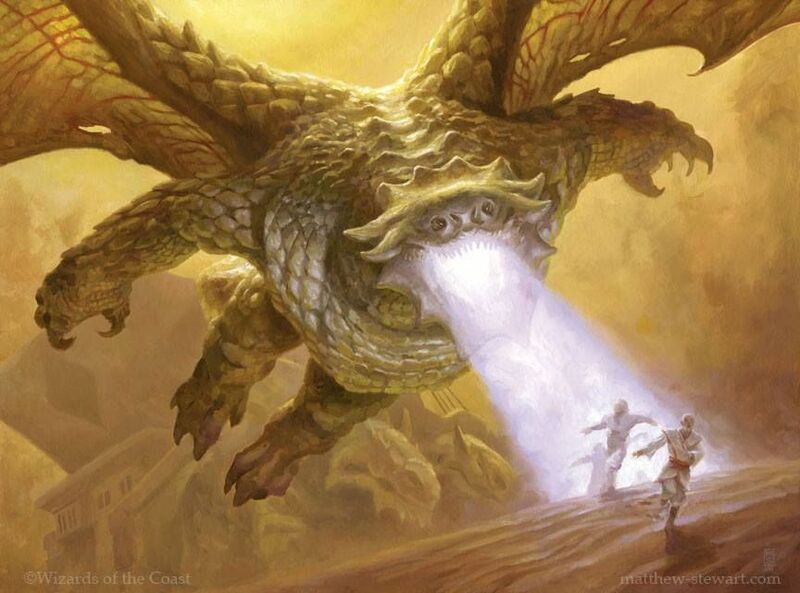 What is the Planechase format? 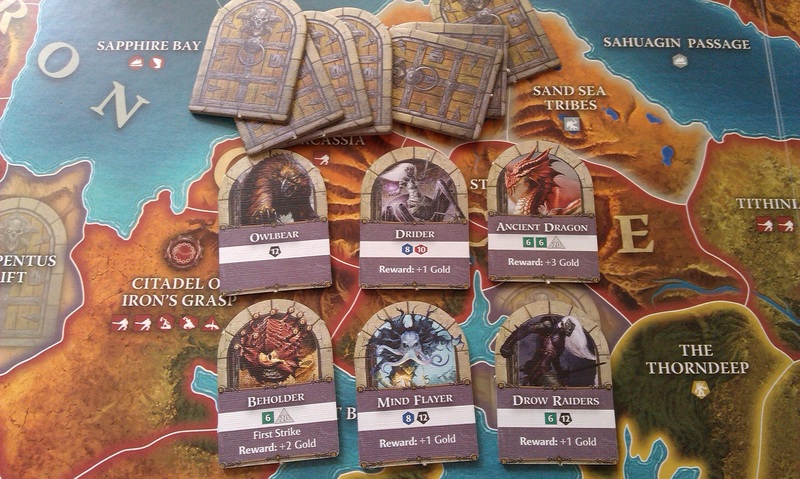 At the start of the game, the first player reveals the top card of his or her Planar deck, and that card’s effects take place across each player’s turn. 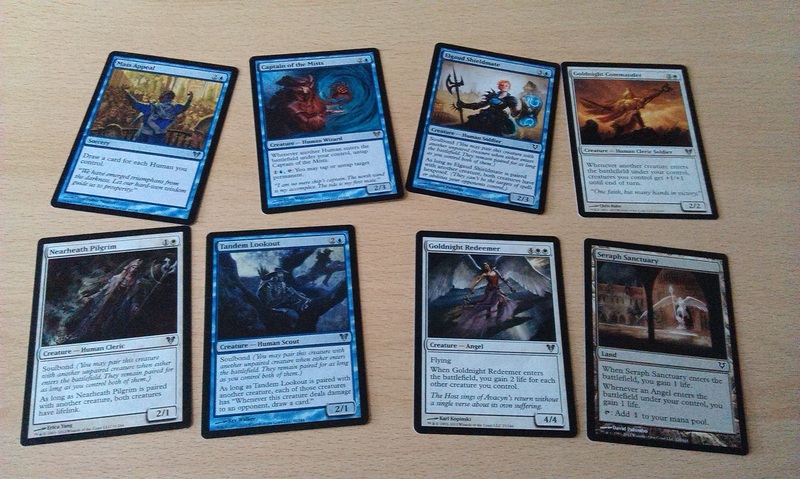 Some cards, such as The Academy at Tolaria West, have an effect that takes place throughout the turn, whereas others, like Orzhova, only trigger when you Planeswalk away. To Planeswalk, you roll the special Planar die, and if you roll the Planeswalker symbol (that fork thing), the active plane is put on the bottom of its controller’s deck, and the player who rolled the symbol gets to reveal the top card of his or her own Planar deck. You can Planeswalk any time you can cast a Sorcery spell, and for each additional time you choose to Planeswalk on your turn, you must pay one additional generic mana to do so. There have been a total of 86 Planar cards printed for the game, all of which are included in the Planechase Anthology, and depending on how you’ve built your Planar deck, it could form a hefty part of your strategy to Planeswalk multiple times in the game to ensure you get to use those effects. Four sides of the Planar die are blank, and have no effect in the game, but there is also the Chaos symbol (the weird colliding-planes thing), which triggers the Chaos ability of the active plane if it is rolled. I’d say that the Chaos abilities on the Plane cards can be the more beneficial reason to keep them in your deck, and sometimes, you might not want to Planeswalk away too soon. Chaos abilities use the stack, and so can be responded to if you need to. As well as including all of the Plane and Phenomenon cards ever printed for the game, Planechase Anthology includes four 60-card decks from the 2012 edition of the game. While the 2009 edition were all reprints, it would have been nice to have had both sets of the constructed decks, not least because those decks include hard-to-find things such as the Mirrodin Artifact Lands, Cabal Coffers, Phyrexian Arena and Master of Etherium (although Wizards has been reprinting many of these things in products like the Commander pre-cons). At any rate, the four decks included are each led by a legendary creature, and I know that Maelstrom Wanderer at the very least is pretty much a Commander staple. The cards in these decks are really nice to have, and while I mentioned earlier that some of the newly printed cards have since seen reprints, there are still ten that have only ever been printed in Planechase 2012 or else here in Planechase Anthology (Elderwood Scion; Felidar Umbra; Fractured Powerstone, which is admittedly somewhat format-specific; Indrik Umbra; Krond the Dawn Clad; Preyseizer Dragon; Sai of the Shinobi; Sakashima’s Student; Silent-Blade Oni, and Thromok the Insatiable). In order to buy the four legendary creatures and the rest of these cards that have never since seen a reprint would cost just over £30 as of the writing of this blog – importantly, that’s the price to buy this printing of the singles, as well; some cards like Silent-Blade Oni and Maelstrom Wanderer have a significant premium attached to their actual 2012 printing. I feel really pleased, then, that I actually managed to pick up this box of cardboard goodness for £60 from my local game store in Wrexham, which is cheaper than every other place I’ve seen. They originally reduced it in January to £80, and I did consider getting it at the time, but I’m really glad that I waited! While I’m sure that, in time, I’ll be pulling these decks apart and making all kinds of weird and wonderful things with the contents – or else adding in different things to change them up and whatnot – for now I quite like the idea of using it almost as a boardgame. Much like I have kept the duel decks that I’ve bought intact, I like the fact that I have a collection of decks that are designed to be played against each other, and require little more than pulling off the shelf and shuffling up before I’m playing. It’s game day here at spalanz.com, and in celebration of my blog’s third birthday this Friday, I’m making this Fantasy Week! What better way, therefore, to celebrate, than with a game set in one of the most archetypal fantasy universes ever conceived: Dungeons and Dragons! 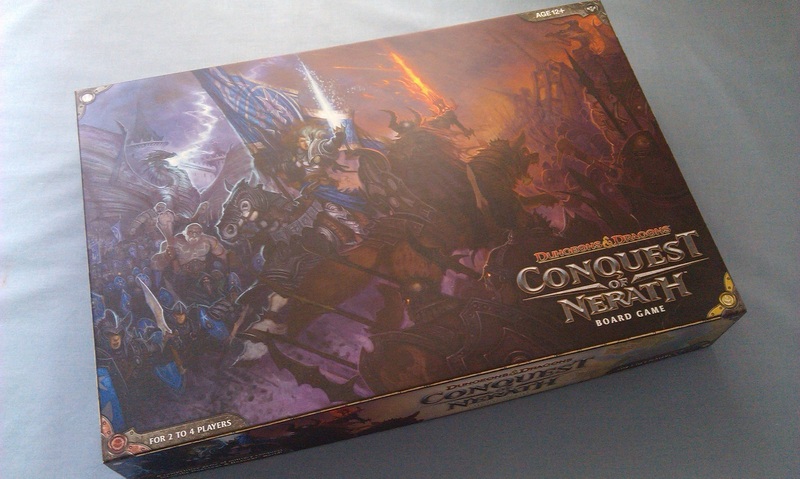 Okay, so I’m not going to be looking at the RPG itself, having never played it, but instead, I’m taking a look at one of the stand-out board games from the product line: Conquest of Nerath! I’ve only actually played with this game once, back in 2013, and had an absolute blast! 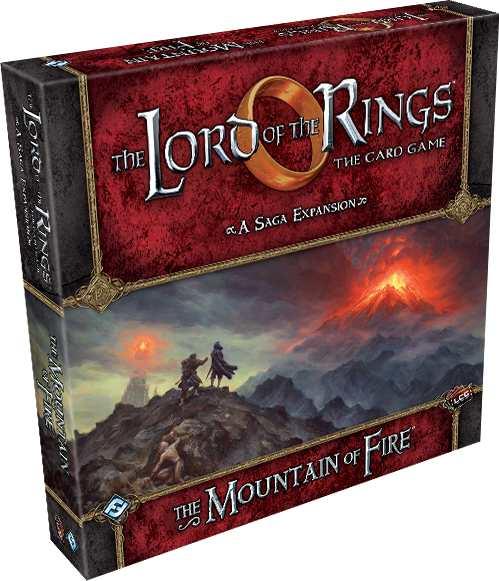 It’s basically the sort of area-control game that is a lot like Risk for those familiar with more mainstream boardgames, where you control a faction from the D&D world and attempt to take over the board as much as possible. The board itself is beautifully illustrated, and each of the four factions comes with a whole host of miniatures that represent the hordes they can bring to bear, from foot soldiers and siege engines to warships and storm elementals! The game is a lot of fun. 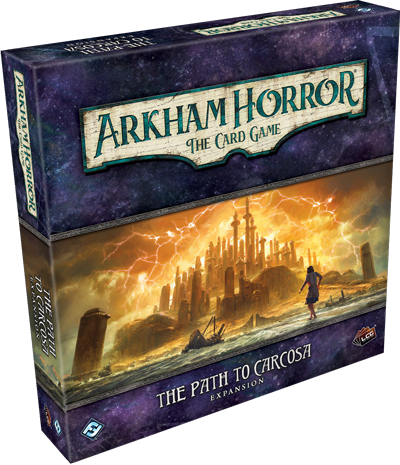 It looks deceptively complex, as there are a lot of pieces on the board, from all of those miniatures to all of the tokens and cards involved, but the rules are actually really streamlined, allowing you to focus more on the narrative and fun, than on game mechanics and such. There isn’t a great deal of magic involved, aside from the wizards’ First Strike rule and, I suppose, the way some Event cards work, which also helps to keep the game straightforward. Each faction has the same sorts of units, and yet feels quite different in the way they play, which also adds to the ease of gameplay. Of course, what would a D&D game be without, well, dungeons or dragons? The dungeon delving aspect of the game is one that adds a lot of the flavour of the setting that I think is otherwise missing from the game. The four factions, while being traditional fantasy tropes, are just that – tropes. The dungeon guardians, however, include some of the more iconic D&D monsters and villains, including the Beholder and Drow Raiders. Defeating these guys will give you the gold to buy reinforcements, as well as treasures to use in your battles against your enemies, but the mechanic is crucial, for me, to keeping the game on-theme overall. Conquest of Nerath was released in 2011, and aside from one promo treasure card released at GenCon that year, there has never been any kind of expansion for it. Which is absolutely fine, when you think about it! So many games in my collection have been expanded unto death, it feels oddly satisfying to have a game that is completely self-contained like this, and the strategic depth involved in your conquest is something that can keep the game going. 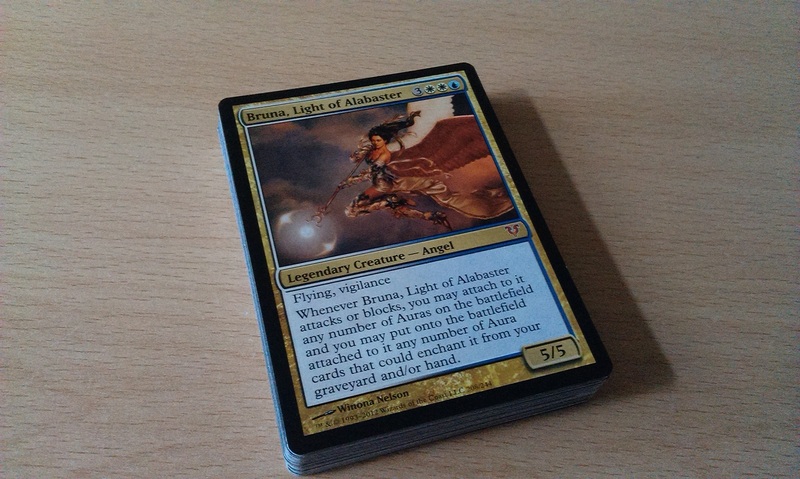 It’s game day here at spalanz.com, and today marks something of a triumphant return for me to Magic the Gathering, having taken almost the whole winter off from the game. I’m always quite conscious of the fact that I seem to have some extremely expensive hobbies within the niche of hobby games, but I still enjoy the fact that they’re by far some of the most immersive. With all that said, let’s get started! Aether Revolt is the second set in the Kaladesh block, and the 73rd expansion for the game in total. It came out in January but, unfortunately, I wasn’t paying attention until last week, when I thought I’d take a look and buy a couple of packs to see what I’ve missed. Kaladesh has seen the Gatewatch confront Tezzeret for his corrupt dealings as head of the Consulate on that plane, as well as delving into the backstory of Chandra (being, as it is, her home plane and all). Whereas magic is fairly prevalent on other planes, here all of that is kinda replaced by the aether that is used to power all of the automata of Kaladesh. There are some corrupt goings-on between Tezzeret and the Gatewatch, and Ajani shows up to lend his aid, becoming yet another member of the team. This whole Gatewatch thing is a bit… gimmicky, I feel. I want to like it, but it just feels like they’re trying to formalise things between the Planeswalkers in a not too subtle copy of something like the Avengers or Justice League. I get that, but I just think it could have been done better, if it had to be done at all. 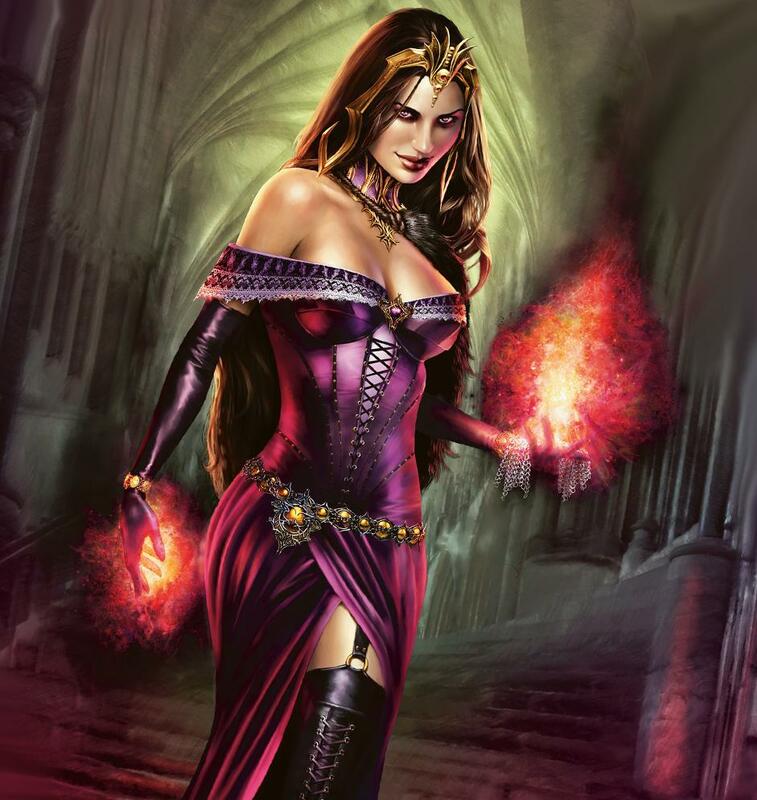 I mean, Planeswalkers have worked together before without needing to create some kind of grand alliance. 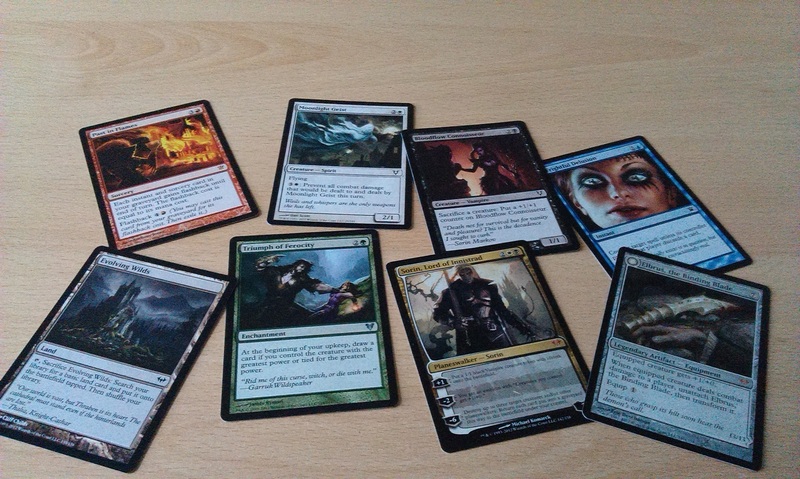 But it does mean that we get new Oath cards for each Planeswalker that joins… Hm! 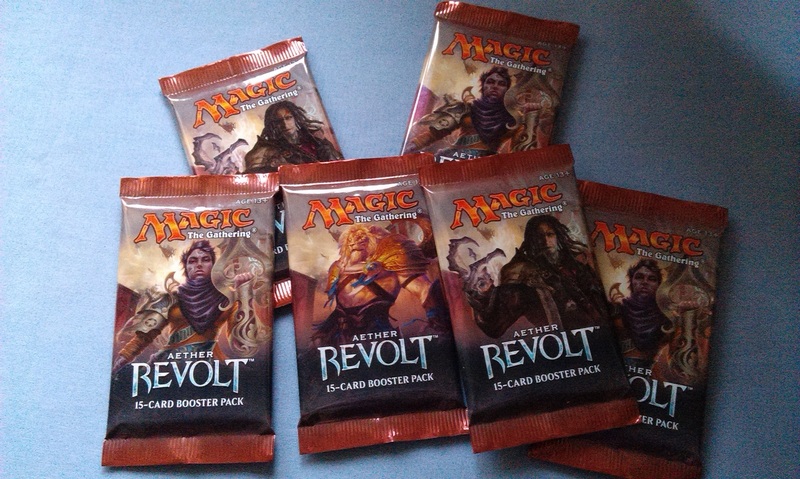 In terms of new rules, I’ve already discussed the Kaladesh stuff back in the day; Aether Revolt adds a couple of new mechanics, Improvise and Revolt. Improvise is basically the same as Convoke from back in the day, using Artifacts to tap for generic mana rather than Creatures. Revolt is an ability word that will have a specific effect if a permanent you control leaves the battlefield that turn. They’re interesting enough, without shaking things up too much – precisely the sort of mechanics we’re now used to seeing from smaller sets in a block. Anyhow. 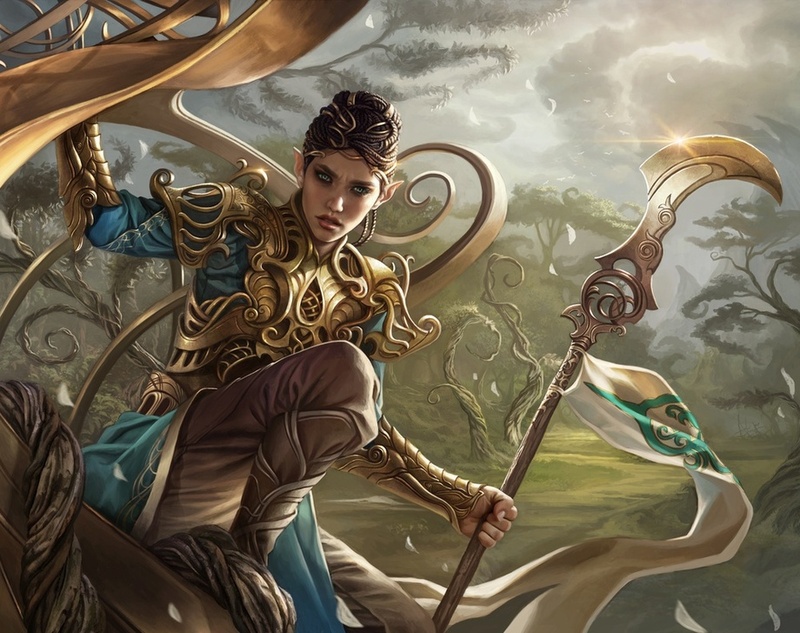 Kaladesh looks like a very pretty plane, with a lot of filigree on the automata that grace the plane, and I remember seeing some of the promotional stuff going on back in September that really went to town with this, and it looked awesome. However, it does all feel a bit overwhelming, and I’ve not really delved too far into any of that stuff. 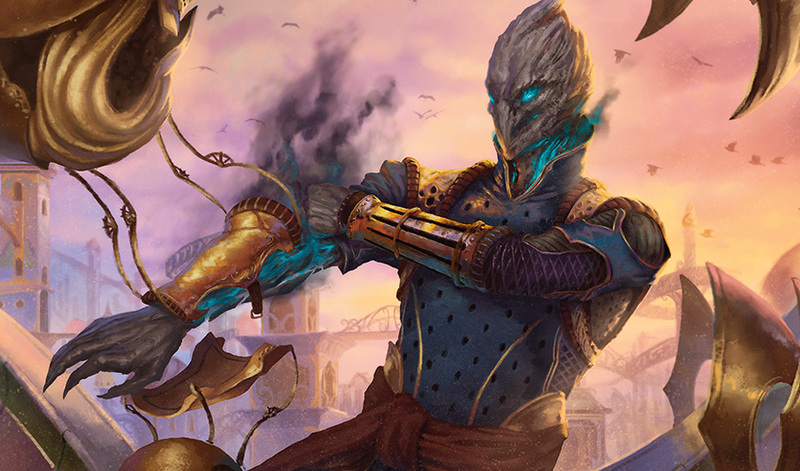 What has been interesting to me, however, is the new Aetherborn tribal stuff from the block, and partly why I’ve chosen to write this blog today! Aetherborn are a by-product of the aether refinement process, apparently, and only have a short lifespan as their bodies dissolve into the aethersphere. However, they can sustain themselves by leeching off of others, and thus naturally fit into Black. Indeed, some of them have the subtype of Vampire, which somehow has become my favourite kind of tribal deck to play in Magic! So I’ve naturally found myself drawn to these guys. It’s more black than black-white, which may make you wonder why I’ve got so many plains and dual-lands in there. Well, insurance. I’ve played far too many games of Magic with two-colour decks, and have been completely screwed on the right colour despite having what the internet has told me is “the right number” of the secondary colour. So I’m going more even than necessary, just to be on the safe side! There’s a bit of a +1/+1 strategy going on with the Aetherborn here, as well as some classic black-white drain and gain style stuff. Deathtouch is a wonderful mechanic and I like to include it wherever I can, and so many people seem to dislike lifegain that I can’t help but include it whenever possible! This is by no means going to be winning me any notoriety, but I think it’s a decent enough starting point for getting back into the game after a couple of months off! In addition to getting some packs of Aether Revolt, I’ve also bought one of these Planeswalker Decks, or whatever they’re called – the things that replaced Intro Packs back when Kaladesh launched in September. Back when these things were first announced, I was a bit optimistic, but I’m not so sure these days. 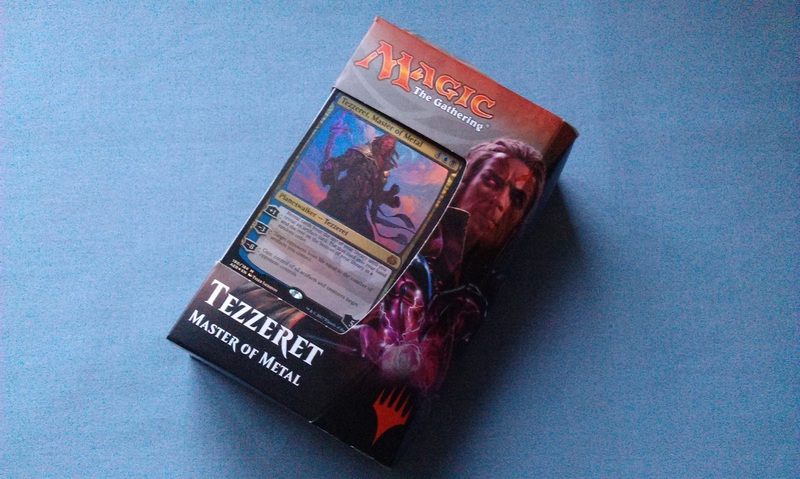 Having bought the pack, it’s a nice way to get some interesting new cards, and I think the Tezzeret Planeswalker card in this pack is perhaps a little more useful than the two from Kaladesh, but even so, I don’t think I’m going to rush to try and build a deck around him. While many people don’t seem to rate the Planeswalker decks, such as The Professor’s pretty damning review here, I liked Intro Decks, and I think I still like Planeswalker Decks, as you can pick up a bunch of cards for fairly cheap. 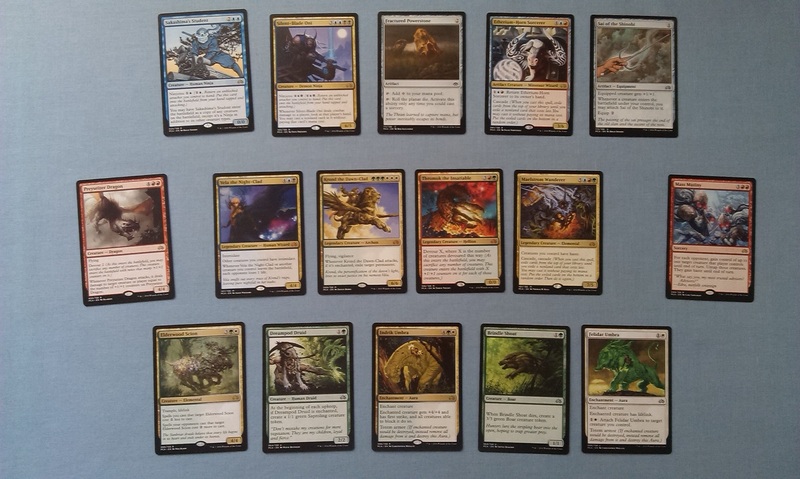 One of my favourite things to do with Magic is build weird decks with lots of commons and uncommons, and I never really go too much for the splashy things that require me to spend a lot of money. Sure, you probably won’t have much fun if you buy these things and attempt to play them against other folks, though I always had a lot of fun playing Intro Decks against each other, and I imagine that these new iterations will have a similar experience. 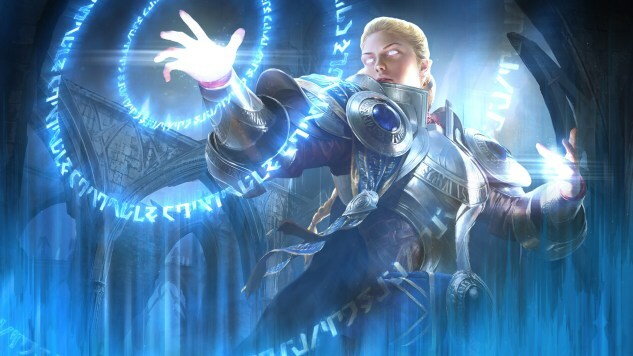 You can then use them as a base to trade up throughout the block, swapping out the “splashy” Planeswalker for the version that is part of the block and still benefiting from the uncommon card in the deck – for example, I can swap out Tezzeret, Master of Metal for Tezzeret the Schemer, and still benefit from the lifedrain of Tezzeret’s Simulacrum. (Tezzeret’s Betrayal would have to go, though). In fact, I think I might try and see how far I could take this Tezzeret deck!